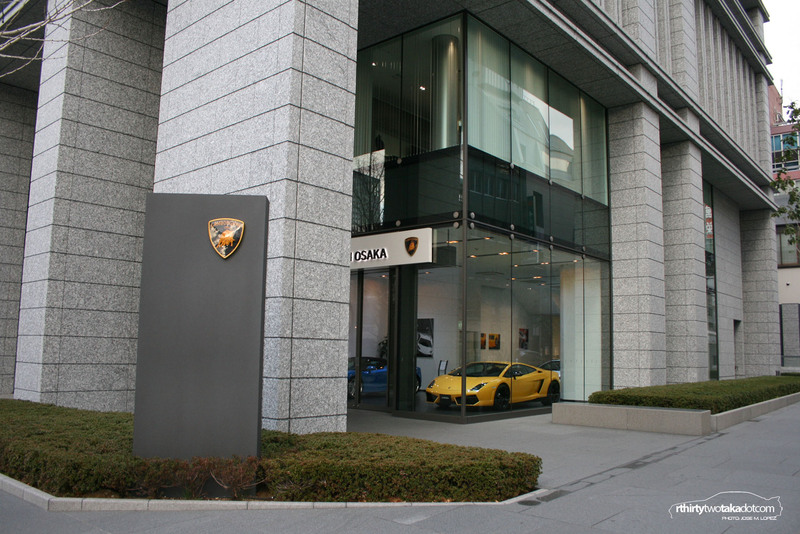 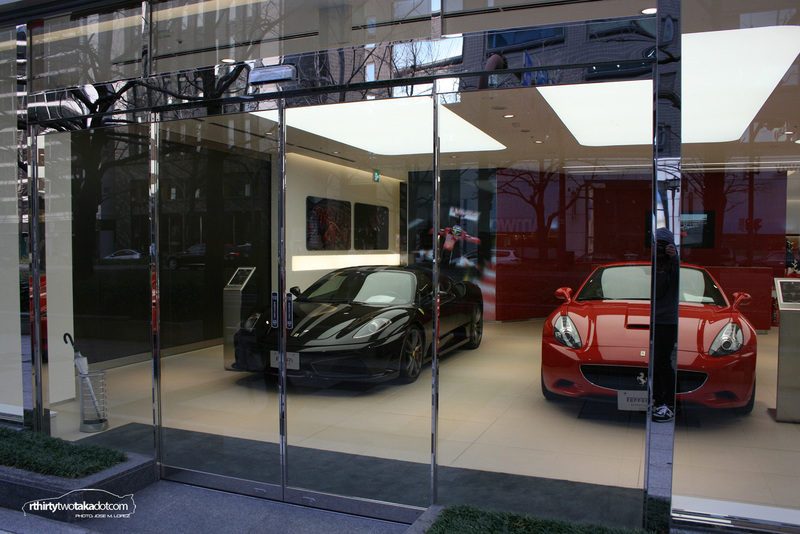 It was quite interesting walking through the streets of Osaka, you can leave a busy and crowded street and suddenly find another quiet street with many luxury dealers together. 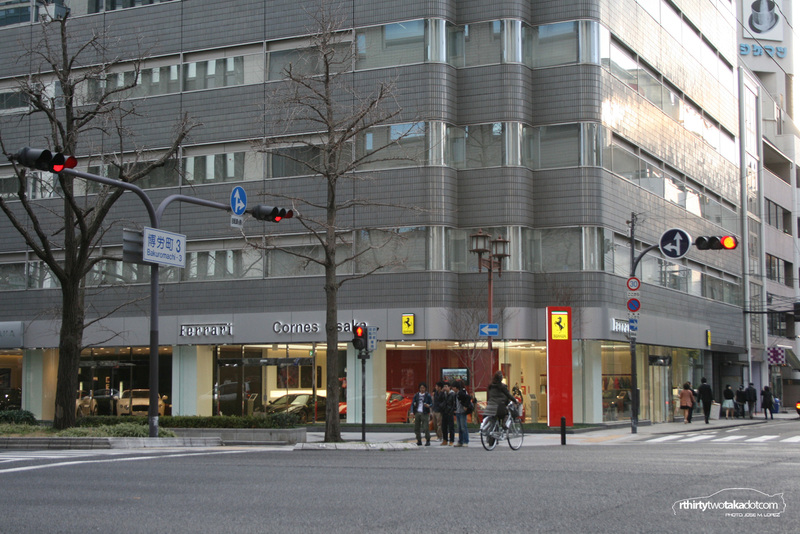 We’ve talked in some other post about that, in Japan everything is practically possible and the fact is that you can find a Ferrari Dealer in front of a small Temple. 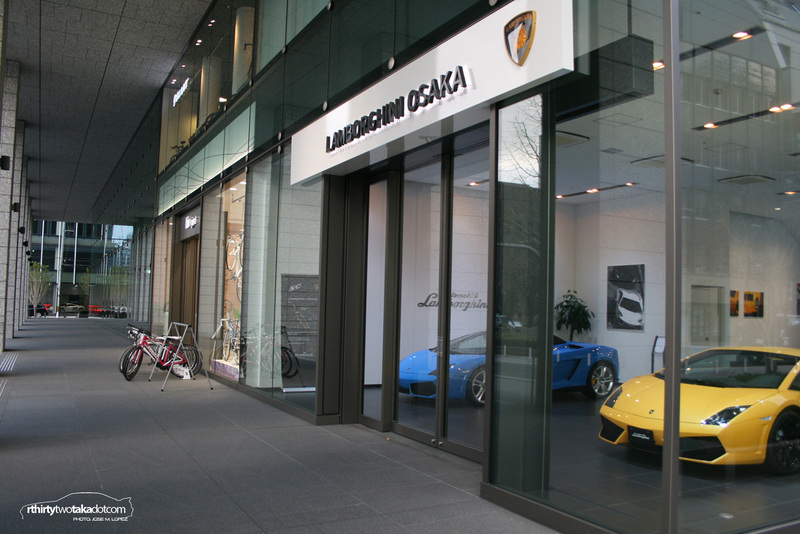 Also notable that if you can afford Murcielago, you can walk out the dealer and jump in the Giant Shop to buy a cheaper method of transportation. 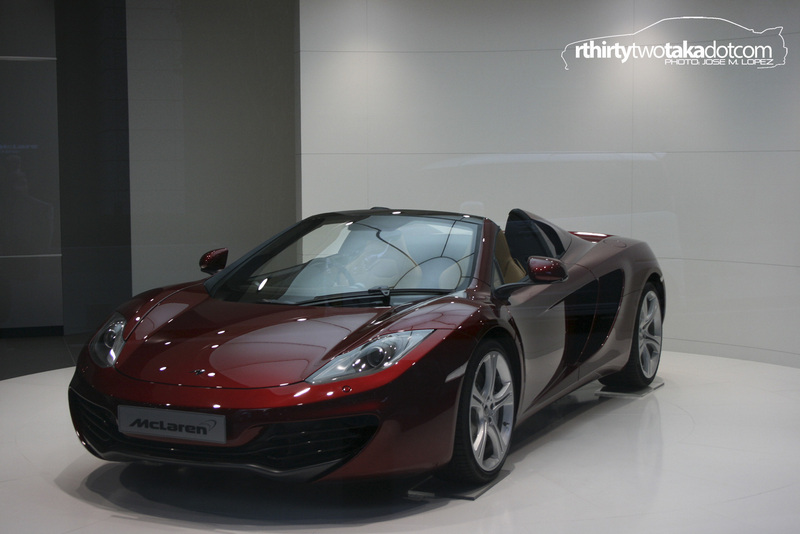 Sorry for not having or taking more pictures of McLaren Dealer. 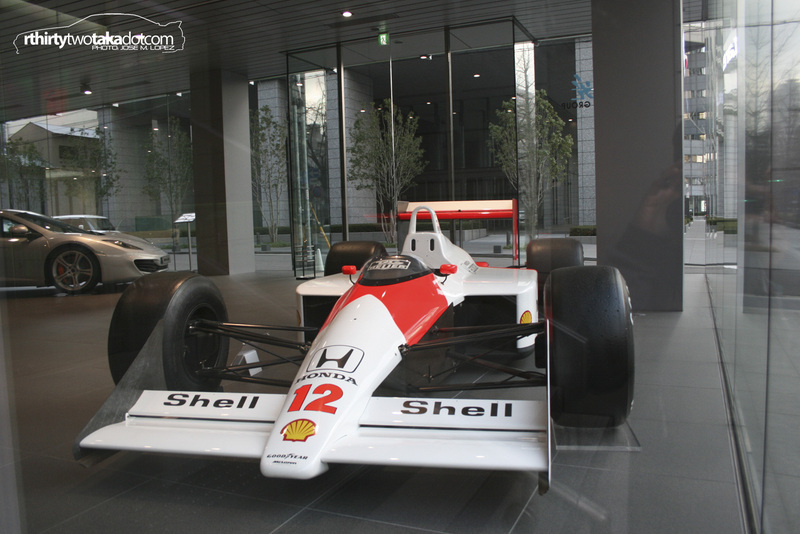 I think I was fascinated looking at the McLaren Honda F1.